Here's the next cartoon in the series about famous computer scientists. Here is John McCarthy. The creator. 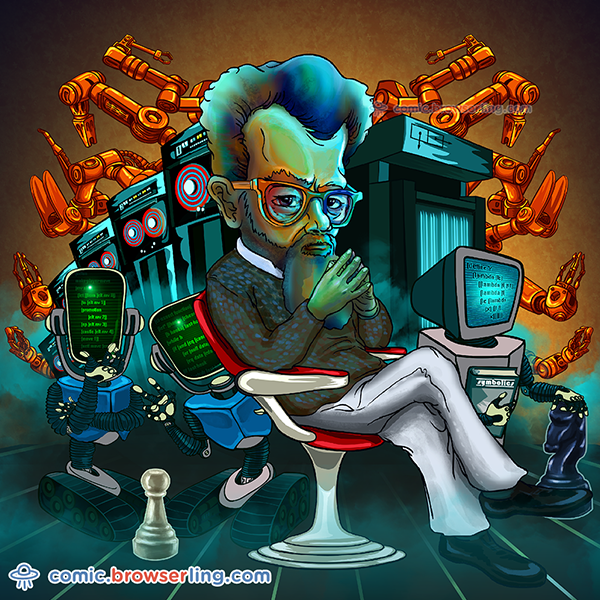 Inventor of Lisp and the father of modern artificial intelligence. Grace Hopper and a nanosecond. Jon "maddog" Hall and living free or dying. Alan Turing and his infinite tapes. Like this? Subscribe to comic and/or follow browserling and/or me on Twitter and/or do nothing.